Outstanding Web copywriting is about much more than just putting words on a page. Our pros take SEO into account for every piece of content they create. Quick question: is your Web copy working for you, or against you? The continuing evolution of search engine algorithms—particularly the arrival of Google Panda—continues to exert a strong force on SEO, particularly with regard to the need for high quality Web copywriting. If your Web copy is bumbling (low quality), chewing the scenery (distracting, rather than attracting, your audience), or actively working against the hero (off topic, low quality, and duplicated elsewhere), then you’ve got a problem that can’t be fixed by central casting. Gone are the days when “thin” or duplicate content could simply slide by unnoticed by search engines, if not customers. In order to compete in today’s digital marketplace and appeal to savvy Internet users, you need content that’s high in quality, relevant to your audience, and written with SEO best practices in mind. This issue is particularly important for eCommerce sites, as having the same promotional copy and product descriptions as the competition can lead to duplicate content—a deal-breaker that can hurt your performance in search engine rankings, as well as your bottom line. In a world of Web copy that’s plenty sloppy, we choose to focus on creating carefully crafted, SEO-friendly copy developed specifically for your target audience. Our Web copywriting pros rely on persona development, social media monitoring, analytics, and other data collection and management tools to identify and effectively segment your best customers, all to inform topic choice, style, and other factors that go into crafting effective content. We also research your competition and the content they produce to avoid duplication and potential algorithm-update-induced problems. High-quality copy that reflects well upon your brand and engages your audience is an investment worth its weight in SEO gold. 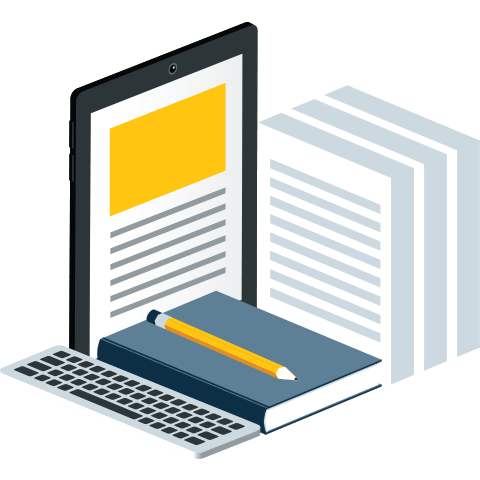 No matter the platform, channel or device, our Web copywriting services can help you forge deeper connections with customers and pull more visits, shares, and purchases. Effective use of language is both art and science. If SEO is a consideration, it brings yet another element of complexity to the table. Get your copy to work for you. Allow it to represent your brand and convince shoppers to become buyers.